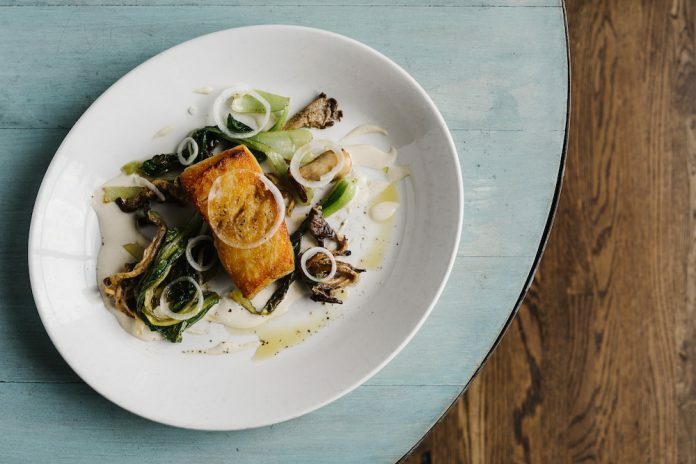 Ford Fry’s award-winning Westside seafood spot, the Optimist, has a new executive chef in the kitchen—its fourth since the restaurant opened. 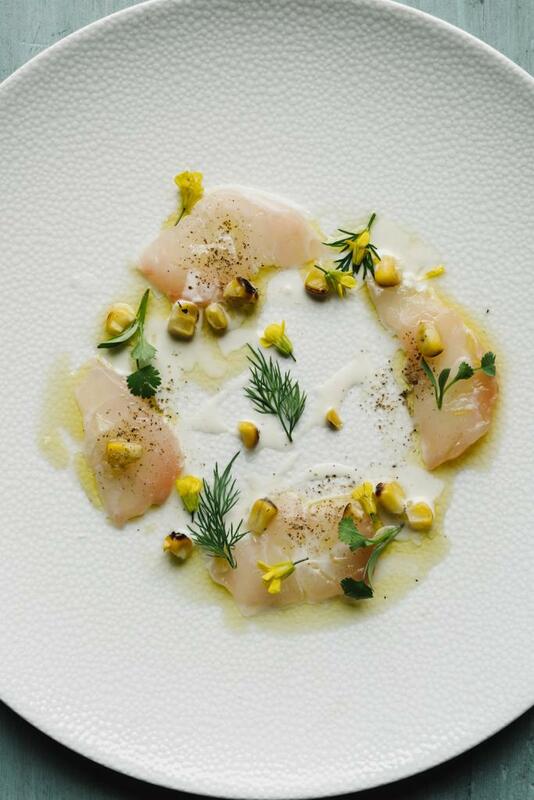 Following Adam Evans, Wesley True, and Craig Richards (who is now director of culinary), Pat Pascarella is taking the reigns with intent to focus on expanding the restaurant’s crudo selection and creating 80-90 percent of the restaurant’s menu offerings with ingredients from south of Virginia. “It feels good to be part of something where you know there’s a lot of room for growth,” says Pascarella, who trained under James Beard Award-winning chef David Pasternack at Esca in New York City. He fell in love with seafood during family fishing trips as a child and was inspired to work in restaurants after a visit to Italy at age 13. 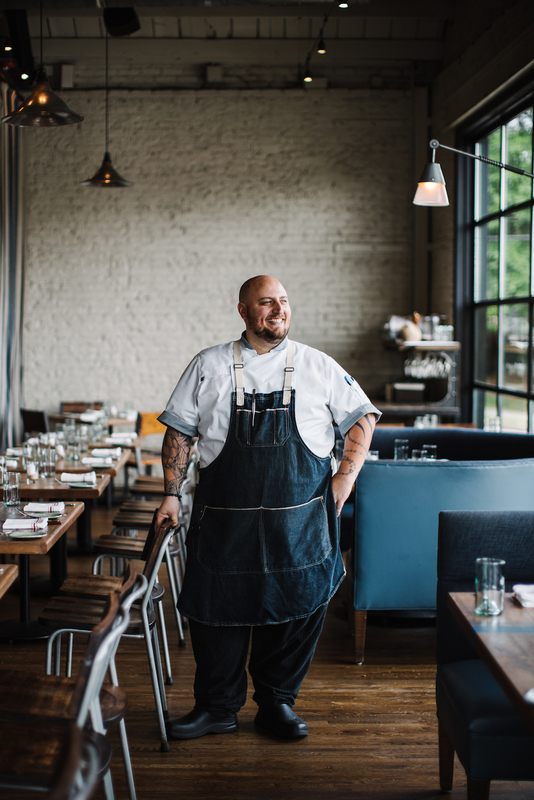 Though he still owns Bar Sugo in Connecticut, he chose to move to Atlanta to focus less on restaurant operations and more on cooking. He says he plans on changing the menu as often as possible to keep both the staff and diners interested. This includes six to ten changes daily. New menu items include snapper and scallop crudos, softshell crab, risotto with ramps, 60-minute egg, and crispy Spanish octopus with spicy honey, caper remoulade, and pickles. He attributes the Optimist’s frequent chef changes to the lack of down time at the restaurant. “It’s a challenge running a big busy kitchen, butchering 200-300 pounds of fish a day,” he says. To address this, he’s concentrating on training the staff, working with them hand-in-hand the majority of the time, and changing their work week to four 10-hour days to allow more rest. “You know it’s working because morale is better, and the overall outlook is better,” he says.